This entry was posted in Classroom Culture, Making Thinking Visible, Uncategorized by mmedvinsky. Bookmark the permalink. 1) your reference to students as “musicians.” you use the language of identity to allow students to step into a new role and way of being in your classroom. 2) The opportunities you create for students to act authentically as musicians by creating and revising music, by working with sound. Looking forward to talking more with you about that. Thank you for insightful reply. There is a strong sense of identity here. The label “musician” implies dispositions that are specific to the art form. 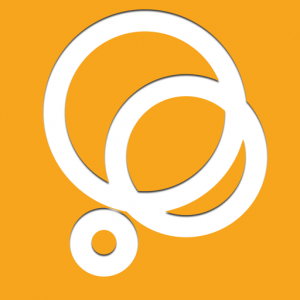 We engage in processes and create problem solving experiences that are authentic to the art. I would appreciate us continuing this dialogue and hop to see you again soon. Great post Michael! You use some different vocabulary/jargon, but I read in what you describe many of the things I and my students have found so effective and rewarding in my own classroom, and which I describe in my book: musical creativity, project-based learning, Constructivist approach to music learning, giving students time to experiment, reflect, refine, hands-on/applied learning, teacher-as-coach, risk-taking, using technology to give voice to authentic creativity, performing/documenting (exhibition), and meta-learning. Thank you Scott! I do frame the musician’s experience in a constructivist frame. Music is a collaborative art and understanding is socially constructed. 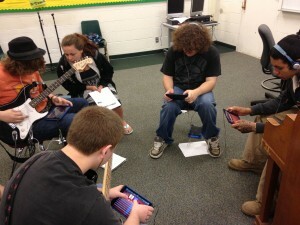 The musicians have an environment where they are able to create, revise, and reflect in a supportive, risk-taking way. I enjoyed Using Technology To Unlock Musical Creativity and am excited to hear that you have a new book being published. I had a great time PMEA 7! What a great group of passionate teachers. I look forward to presenting at their state conference! If I had a car of my own, I would have come to visit you. I’m sure our paths will cross soon. This is a great post. From a pedagogical point of view, I am impressed with the clarity and logical flow of what you have written. Someone who is new to these ideas can see how they make sense because of the way you have structured your thoughts. 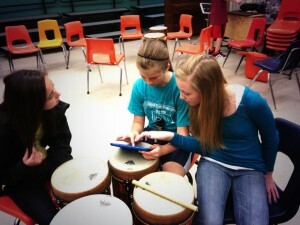 From a musical point of view, the idea that students are thinking in music resonates strongly with me. Although it was never really something I did well (hence my move to supporting regular classroom instruction) but I knew many fellow musicians who understood the world that way. Artists and literary folks speak of the mind’s eye. We used to speak of the mind’s ear. I think it impacts spatial understanding (which is what Fran Raucher’s work found) in that students know where the next sound is on their instruments in relation to other sounds they are hearing – either externally or internally. 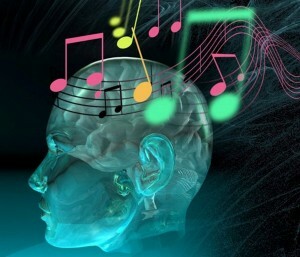 It relates to the ability to read music. The general notion is that if you can’t read it, you can’t play it and that may ultimately be the case. But, I always took the position that, in the beginning stages, if you can’t hear it, or in some cases, play it, you can’t read it. I used this construct as a basis for teaching my choral students to see on paper what they heard in their heads. These ideas also allow students to come to recognize sophisticated compositional techniques. What has the composer done to arrive at what s/he wanted to say with music? Consequently, students develop a greater appreciation for more sophisticated works that require refined compositional techniques. And, of course, this crosses all styles and genres. (Remember my “you really turned me on to Pink Floyd” story?) As individuals mature in their ability to hear, they widen their opportunities for aesthetic experience. Finally, as Jackie and I have discussed for years, it is interesting how closely this aligns with the way learners become intrigued by, knowledgeable in, and competent as readers and writers. I assume that is implied with your use of the term Music Workshop. What about calling it Musicin’s Workshop since, although the music is the center, the workshop is less about constructing a piece of music and more about developing learners as musicians. Thank you for the thoughtful reply Bob. I love the idea that this is a Musician’s Workshop. 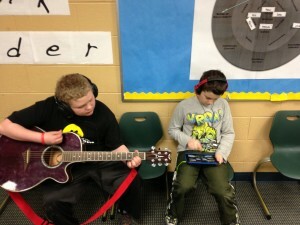 Much like readers, writers, and math workshop, where the growth of the learner is at the center of the experience within different contexts, Musician’s Workshop develops the learner in the context of music. I have had many conversations with colleagues about reading standard notation in a primary music setting. I use a language learning analogy to help frame our dialogue. When we are learning a language, it’s messy. We experiment with sounds and learn how sounds blend ebb and flow together to express our emotions and thoughts. We would never ask a toddler who was learning how to communicate to read the words s/he wanted to say. Written words become hurdles for children if they don’t fully understand the sounds the letters make and how they blend together. Same with standard notation. Thank you for the insight. My thinking has changed and I will continue to call my classroom experience Musician’s Workshop. Excellent post. The “learning is messy/learning is loud” quote really resonated with me. Actively doing musical things should be an integral part of every music classroom, and yes, that can look very chaotic to an outsider. By doing seemingly simple things like allowing students space to experiment, or encouraging them to collaborate, you’re creating a space that encourages passion and creativity. I’m going to take this post as a reminder to do more of this in my own classroom, and share it with my colleagues as well.